Elise used to live in Madison. When she lived here, the Wisconsin State Law Library served as her own law firm library. She could ask questions of the librarians here, and have a space for quiet study. 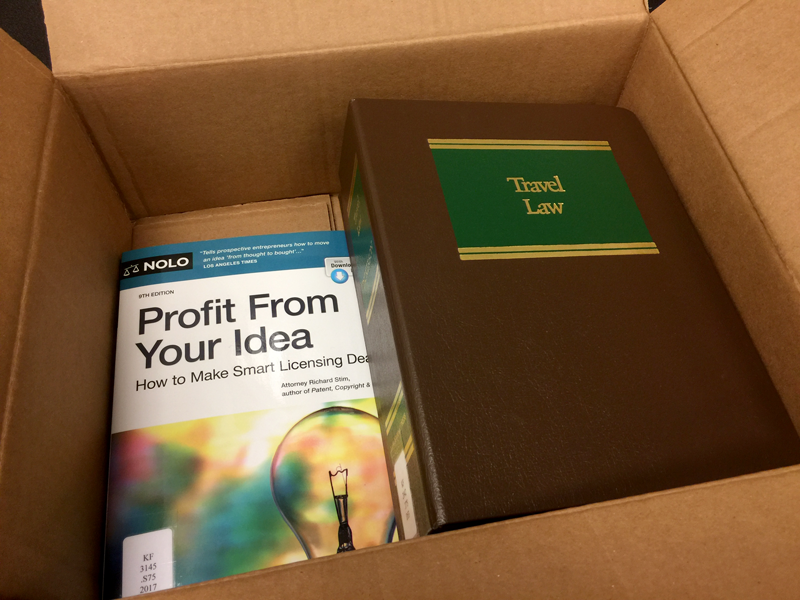 Most importantly for Elise, she was able to check out books full of analysis and sample forms and bring them back to her office. 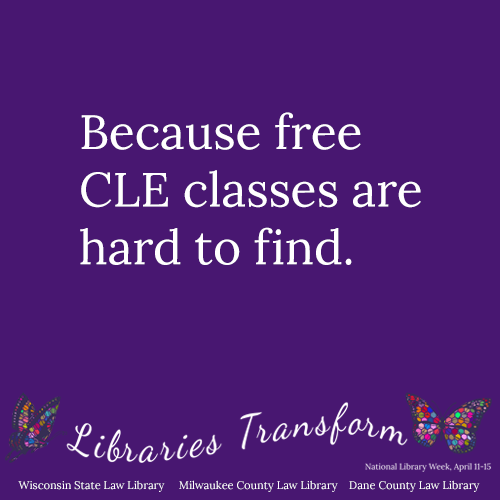 When Elise moved to northern Wisconsin, she thought she'd lost access to the library. Sure, she could still call us or send an email, and her free library card did let her log in to great databases like HeinOnline and Index to Legal Periodicals. But she was prepared to find a new source for accessing major legal treatises. Fortunately, Elise discovered our Borrow by Mail service! With our Borrow by Mail service, you can check out library books and videos from wherever you are in the state. Books can be checked out for 3 weeks, with an option to renew them for an additional week. For a shipping and handling fee we will ship materials within 24 hours of receiving your request, Monday through Friday. Full details are on our Borrow by Mail fees page. The next time you wish you could get your hands on that one essential treatise...remember that you can! Request it through our Borrow by Mail service and read it at your convenience. We have a full schedule of classes lined up for the fall in Milwaukee and Madison. Learn more and sign up on our Classes page. 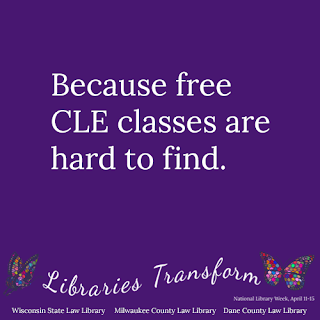 Thursday, October 5, Noon - 1 p.m.
Thursday, October 5, 1 - 2 p.m.
Thursday, November 2, Noon - 1 p.m.
Tuesday, October 17, Noon - 1 p.m.
Wednesday, November 8, Noon - 1 p.m.
Tuesday, November 21, Noon - 1 p.m. The September issue of WSLL @ Your Service is now online. As always, your comments are welcome. Please direct them to the editor, Kristina Martinez.